Celebrating a friend’s remaining days as a single woman is meant to be a memorable and fitting start for a life of marriage bliss. Going to clubs and having an overnight party at the beach are not the only kinds of celebrations you could opt for. A fun-filled party can be done as conveniently at home.With a lot often party games and ideas available out there, the most important thing is to find the perfect one that will make the bride-to-be feel that she’s a blessed girl for having friends who know how to throw a valuable party that doesn’t necessarily have to cost a lot. All it takes are the right materials and the following creative tips. One easy, yet silly (and affordable) game would be purse points. 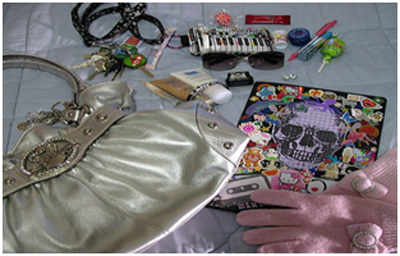 Start the game by making a list of things that are usually (or even rarely) present in a girl’s wallet or purse. The idea here is that the person will score points for every one of the stuff available in her purse. The more items you have in yours, the higher your score will be. Now you’ll know which of your friends carries the most items! Whether or not the bride is into poetry, this hen party game will surely get everyone thinking and simultaneously hungry as well. To get started, bake cupcakes of different flavors,butmake sure that all are in the same sizes. Create a good deal of these cupcakes as welling order to intensify the fun. Group the cupcakes together with each one containing a different flavor. 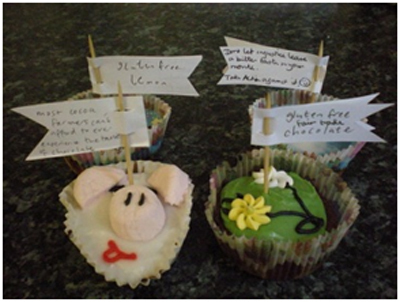 The nest step is to write a couple of poems, and using an icing applicator, recreate aline of the poem on one cupcake. Frosted icing is perfect here. Serve it to all guests but instruct them to complete the poem puzzle first before eating it. Apart from cupcakes, you can also use a much smaller base such as cookies or even pretzel sticks or you might want to reserve those for the next level of the game. Now that’s a perfect way to serve food and play games at the same time. Blindfold makeover is indeed one of the most classic yet fun hen party games that you should definitely include in your event repertoire.No need to spend a dime since most guests would more than likely have a makeup or two in their purse. To get things going, gather everyone’s accessories, makeup kits and chuck in a few temporary hair colors into the mix. Lastly, don’t miss to use one good blindfold to make sure that no one cheats. 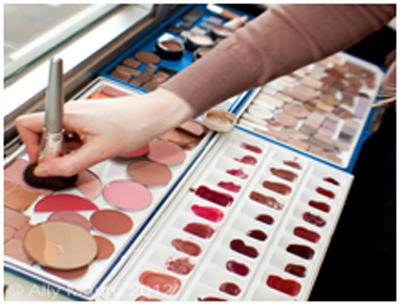 To make things more interesting, generate some questions related to makeup and fashion, if the person who picked the question cannot answer it, she will be the first to sit on the makeover chair. She will then pick a friend who will do the makeover to her, but that friend should do it blind folded. Don’t forget to take photos every now and then as well; you would want to leave silly memories for this particular celebration. Author bio: Dianne writes on behalf of chillisauce.co.uk, her mastery of hen party games and event planning makes her one of our most in demand authors. She has seen the best and the worst with these kinds of parties so you’d do well to heed her numerous tips.